What Is an ADA Lawsuit? Under the Americans with Disabilities Act of 1990, businesses and employers can’t discriminate against individuals with disabilities. This covers the process of hiring and promoting employees, ensuring that disabled people have the same rights as everyone else at the company. It also extends to customers of businesses, ensuring that disabled people have access to all places that are open to the general public. Naturally, these regulations have done a great deal to help people who were previously unable to frequent places that were accessible for the rest of the population. The law also makes exceptions for small businesses that employ fewer than 15 people to reduce the economic burden of making an older building conform to modern standards. That being said, every company can brainstorm cost-efficient ways to allow everyone to come onto their premises. Marking a few spots for handicapped parking or installing ramps are easy ways to provide access. And it’s not always about modifying access, either. For example, allowing service animals to enter your premises even though other animals are not welcome would be another way to comply with ADA laws. If your business has been named in a Title III-ADA lawsuit, it’s important to consult with an experienced attorney right away. The next step is to investigate the situation to find out if your business has been in compliance with ADA regulation. If your company has followed all relevant requirements, it makes sense to defend the lawsuit vigorously. Your attorney will review the strategy with you as soon as possible. If you notice any compliance issues, it’s important to address these right away. This can prevent further lawsuits and mitigate the consequences of the one you’re currently facing. Of course, an attorney may also argue a case under procedural standards circumventing the question of compliance entirely. For example, a plaintiff who doesn’t return to your property regularly may lack ‘standing’ in court, which can get the suit dismissed. While your attorney is working hard to defend your business in a lawsuit, you must take steps to prevent additional legal troubles. Under ADA regulations, you may be required to modify your property in different ways. Whether you need to make your bathrooms wheelchair accessible or add handicapped parking spaces next to the entrance, it’s important to do everything you can to prevent another lawsuit. While some modifications can be rather costly, a lawsuit is going to be more expensive. Your business may even be required to pay the attorney fees for the claimant. Additionally, it’s always possible that your business will get shut down until you provide appropriate access to Americans with disabilities, which can result in significant financial losses and even bankruptcy. While the Americans with Disabilities Act has made a positive difference in allowing the handicapped and wheelchair-bound to frequent businesses, it has also led to abuse by a few fortune seekers. There are people who specifically visit businesses to look for and identify potential violations. They use that information to target business owners and extract large sums of money from them. In fact, Florida has the second highest number of lawsuits under the Americans with Disabilities Act, only preceded by California and followed closely by New York. Most lawsuits are about limited accessibility to businesses, such as restaurants, movie theaters, office buildings, and schools. 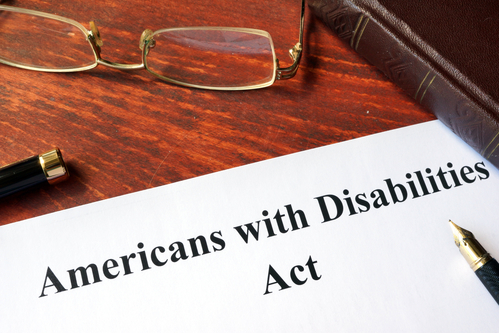 Your attorney can help you identify what you need to do to become and remain ADA compliant. This will ensure your business never becomes a victim of ADA lawsuit abuse. Additionally, some states are trying to implement legal consequences to filing frivolous lawsuits to help curb the abuse. If you have any questions about ADA requirements or are being threatened with an ADA lawsuit, give us a call. Our team at The Harr Law Firm will discuss the situation with you and provide you with the best possible advice.